Across Latin America and the world, governments and investors are pushing for a dramatic increase in investments in infrastructure, mining, and energy projects to address global development needs and fulfill the Sustainable Development Goals. Finance is critical for the realization of human rights and sustainable development. But when development interventions fail to engage with local communities and safeguard their human rights, development becomes a dangerous enterprise. Too often these investments are designed and executed without the participation or respect for the human rights of poor or marginalized communities – arguably the very people who should be development’s priority beneficiaries. Social movements and civil society groups who try to influence development decisions or voice concerns increasingly find themselves subjected to threats and attacks as governments move to criminalize protest and crackdown on human rights and environmental groups. 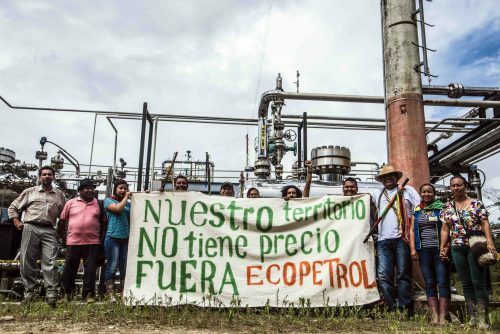 For this reason, civil society groups around the world have joined together to call on development financiers and their shareholders to ensure that their activities do not contribute to human rights violations, to safeguard human rights and environmental defenders, and to support an enabling environment for public participation in development.